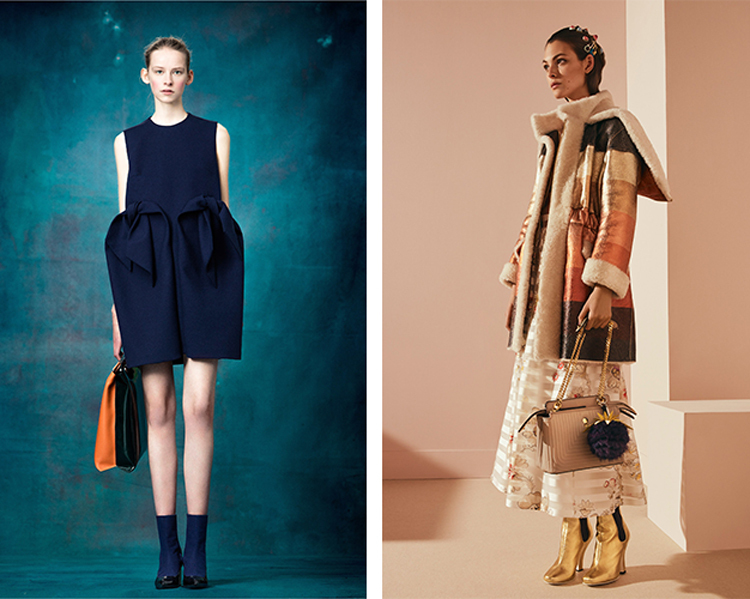 Pre-fall is perhaps the most curious of seasons. Technically, it refers to summer (right? pre-fall is the season preceding fall?) 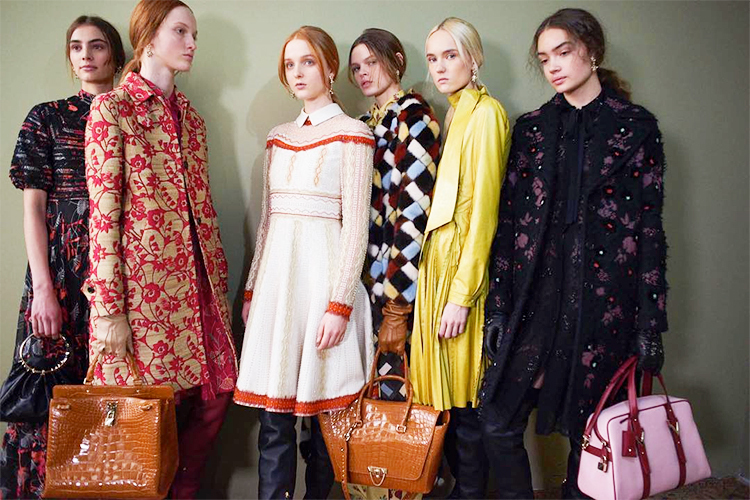 but many fashion designers use it as a time to introduce the motifs of their fall collections, and many pre-fall lookbooks are filled with coats, furs, and other cold-weather necessities. 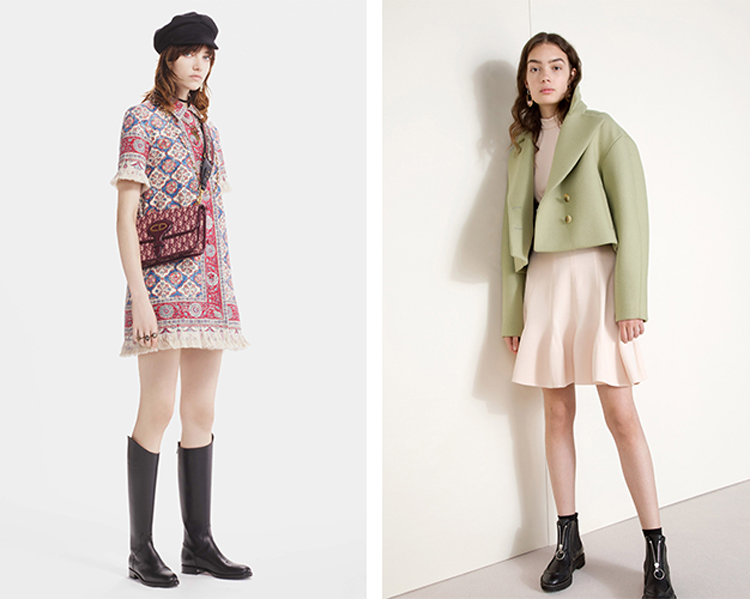 It is often less whimsical than resort, it's pre-season counterpart, focused on practical, consumer-friendly pieces that can transition from one season to another. The release of pre-fall collections also seems to drag on forever, as some designers presented their lookbooks weeks before Christmas, while others, like Christian Dior and Valentino, just held their pre-fall presentations this past week, mere weeks ahead of the spring couture shows. I always enjoy resort and pre-fall because they take the high-concept ideas of spring and fall collections and give them a more realistic (re: wearable) touch. Delpozo's fantastical drapery and structure is translated to single-hued suits and dresses; Maria Grazia Chiuri of Dior pairs high-fashion lace and embroidery with everyday denim; Karl Lagerfeld imagines real (impossibly chic) Parisian women drinking coffee at Café de Flore in his Chanel designs. It is still fashion as always, but it's easy to imagine women taking complete looks into the real world, as opposed to bits and pieces of each runway look. 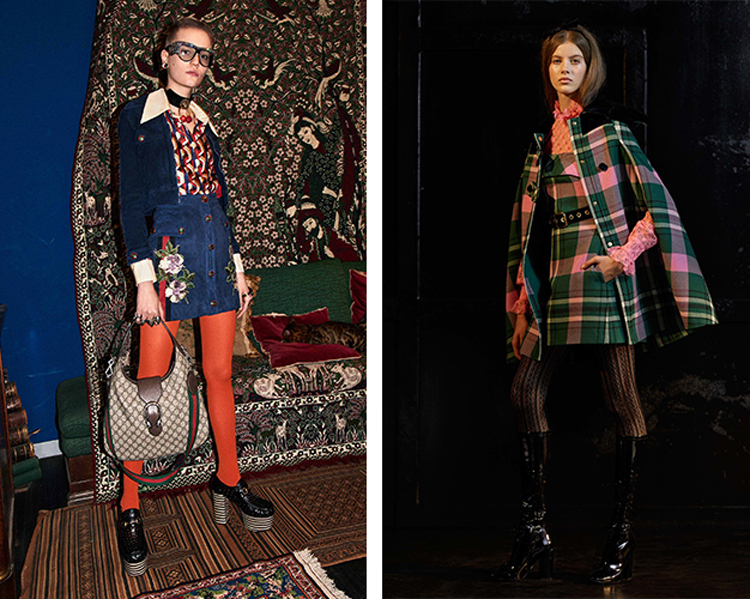 Throughout the pre-fall collections, there are several trends and through-lines that will inform the styles of Fall 2017: pink coats will continue to make an impression, patent leather accessories will be in full force, and references to the ever-stylish and continually-inspiring 1970s will continue (namely, shearling jackets, fun denim, and prairie prints). 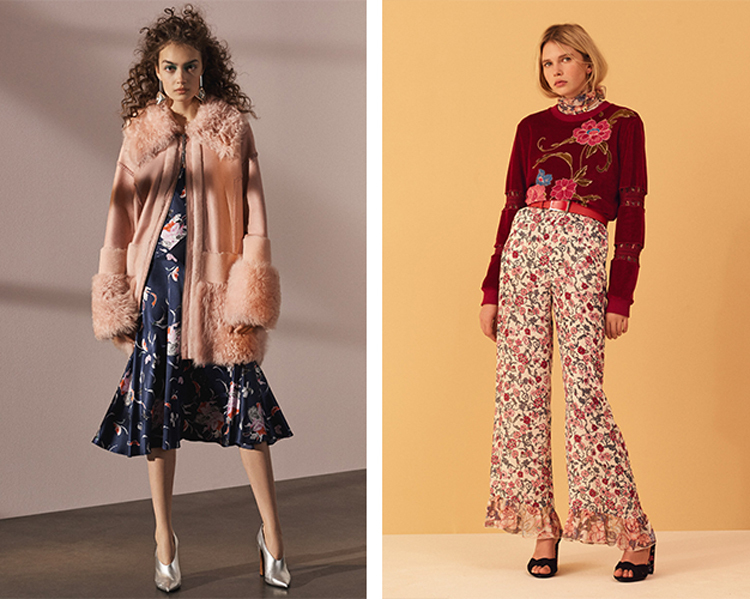 Expect inventive shapes (ruffles, asymmetrical details, embellishment galore) and baroque brocades too, as we enter a new era of maximalist dressing. 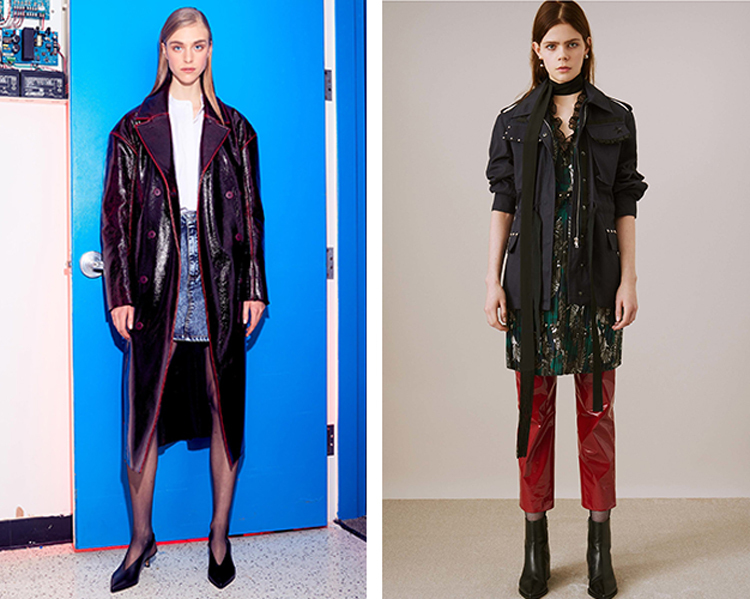 Which pre-fall collections were your favorite? I love the rebranding that Gucci has done lately, it's so fresh while still remaining true to it's origins and signature aesthetic. All the looks you've shared here are lovely and most importantly wearable! Thanks so much for sharing and I hope you're having a great start to your week so far! Thank you for reading, Jalisa! I totally agree with everything you said about Gucci. I love how they're able to incorporate the monogram, the red and green stripes, and other traditional Gucci branding while keeping it current! Those are such cute looks! I'm all for pink coats and 70s style sticking around for another fall season. Thank you, Helen! Yes, give me all the pink coats and 70s inspo!